Following on from last month’s announcement of a brand new album by Canadian songstress Alanis Morissette, Sony Music has this week serviced the lead single from it – ‘Guardian’ – to Australian media. The new album is entitled ‘Havoc And Bright Lights’ and sees the singer teaming up with Guy Sigsworth and Joe Chiccarelli for her first album since 2008’s ‘Flavours Of Entanglement’. It’s also an extraordinary 17 years since her debut ‘Jagged Little Pill’. And after more than 60 million album sales across the globe, expect that figure to climb some more with the release of ‘Havoc And Bright Lights’ in Australia on Friday August 31. Okay song it doesn’t build much towards the end. 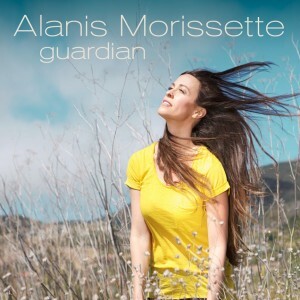 I think she has a great voice but you always compare her music to the incredible Jagged Little Pill. I like when she rocks it out. But a great singer.